YummyYummyTummy has announced that physical limited editions of Fallen Legion: Flames of Rebellion for PS Vita and Fallen Legion: Sins of an Empire will go on sale on March 9, 2018 exclusively at Limited Run Games. Limited to 2,800 copies, each game will be available for $29.99 USD (+ shipping) and includes an exemplar booklet with concept art and character stories. The PS Vita and PS4 versions are two completely unique games with different stories. In Fallen Legion: Sins of an Empire for PS4 you embark on a personal journey with Princess Cecille and an enigmatic talking grimoire to restory glory to your crumbling home. 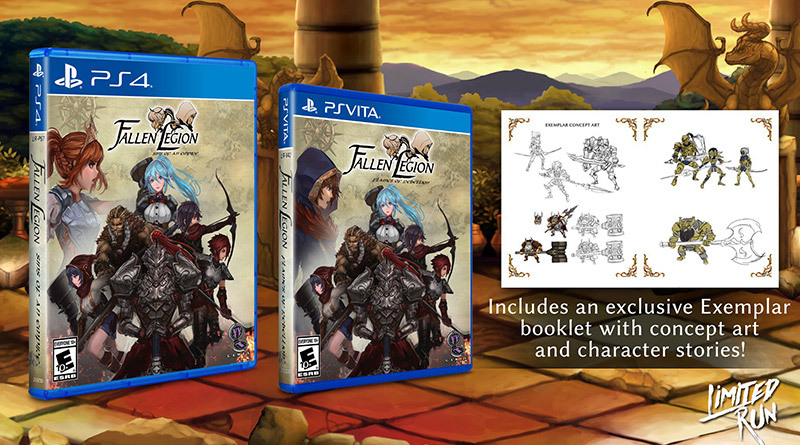 In Fallen Legion: Flames of Rebellion for PS Vita you control Princess Cecille’s rival, Legatus Laendur, who leads an army to overthrow the royal familiy.